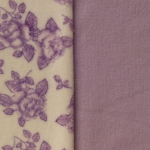 Fabrics and colours will vary so ask for your preferred colour range! Place your order now and include your choice of colours in the message box in the shopping cart! 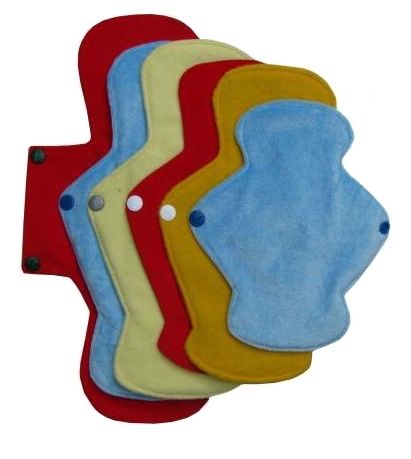 This pack of Noonee Wilga pads includes six pads in a variety of fabrics, lengths and absorbency: an excellent way to begin part-time cloth pad use. These pads and liners are turned and topstitched for durability and comfort, fasten with polyacetal resin snaps; waterproofing layer of PUL. The top layer may include examples of cotton velour, bamboo velour and minkee. If you have any preference for the fabrics, please include details in the message box in the shopping cart, or email me separately. * 1 x 33cm - heavy absorbency - good for nights and moderate to heavy days or for post partum use.